One of the most common and weighted decisions tradespeople face is where to get their parts. Too often they rely solely on Google when finding wholesalers, which results in them commuting too far and paying too much to do their jobs. 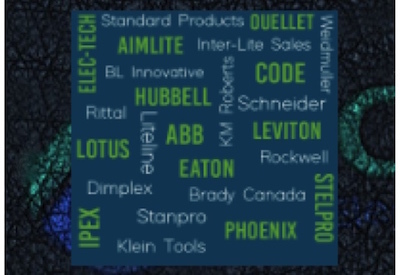 Phyxter is a mobile app that instantly connects Canadian and American tradespeople to multiple nearby parts wholesalers through a dynamic instant messenger. Users send out one quote request that goes to multiple nearby suppliers. Each wholesaler receives an instant message, to which they can reply quickly and easily, so that the tradesperson can compare value, promptly make the best decision, and so can run their business more profitably. The result leaves electrical, HVAC and plumbing tradespeople with more money in their pockets while giving them more time to apply their billable skills or maximize their personal time. The app also benefits local wholesalers by putting them on the same playing field as the large industry giants, because tradespeople can now decide where to make a purchase based on value instead of who shows up on the first page of Google. Jake Gibson, co-founder and CEO, comes from a family of skilled trades entrepreneurs. He has seen first-hand how hard it is to successfully operate a skilled trades business while still trying to balance family and social time. This led Jake toward starting Phyxter to create as a better way for skilled tradespeople to run their businesses. Phyxter’s long term vision is an artificial intelligence platform that’s built on the belief that running a small business should be a simple, enjoyable, and fulfilling experience. More than a collection of features, Phyxter will be the smartest way to be more productive at work, to provide the highest quality service, and to leave you with more time and money to do the things you love. Our platform currently applies advanced technology to the skilled trades industry by establishing a fair and competitive marketplace where everyone can easily enjoy technological innovation, contribute meaningfully to their communities, and work to their heart’s content.